To gather the blessings of the “Almighty” for the beginning of the session, M.G.N. 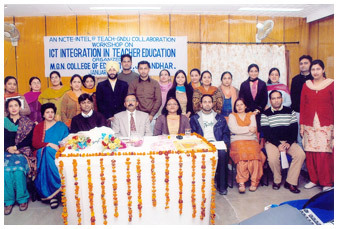 College of Education, Jalandhar organized the Ardas Diwas under the guidance of Mrs.Neelu Jhanji. ‘Ashtapadis’ from Sukhmani Sahib Paath were enchanted on the day. On this ocassion Bhai Balbir Singh Ji, Head Granthi, Gurdwara Sri Guru Singh Sabha, Model Town, threw light on the bani as it urges that an individual must inculcate values like sympathy, calmness, service and contentment. While speaking, he also focussed on inculcating these values from a teacher to become the better citizens for the society. Kirtan was performed by Bhai Navneet Singh Ji from Patiala (Hazoori Ragi Gurdwara Sri Guru Singh Saba, Model Town). On this ocassion Secretary M.G.N. 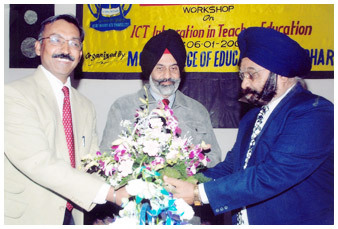 Educational Trust, S.Jarnail Singh Pasricha especially joined the ‘Ardas’ for the success of new session. 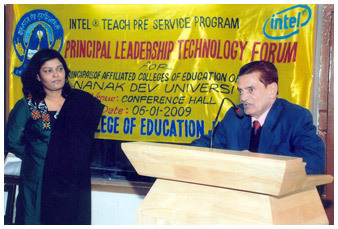 Ms.Satwant Gakhal, Director M.G.N. 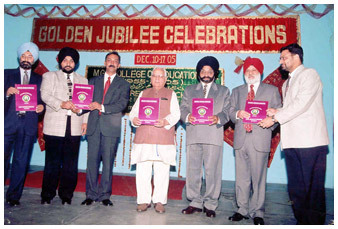 Public Schools, Mrs.Gunmeet Kaur, Principal M.G.N. 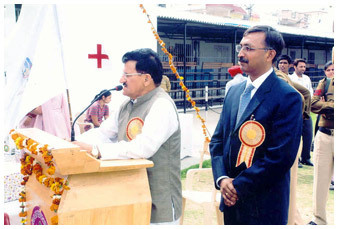 Public School Adarsh Nagar, S. K.S.Randhawa, Vice Principal M.G.N. 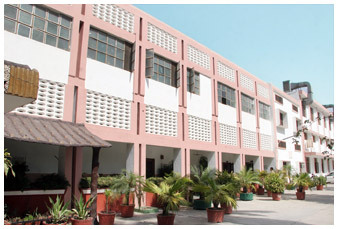 Public School, Mrs.Urminder Kaur, Principal, M.G.N. Sr.Sec.School (Girls), Adda Hoshiarpur, Mrs.Gurinderjit Kaur, Principal, M.G.N. Khalsa High School, Basti Bawa Khel, Mrs.Sushma Prehar, Incharge Primary Wing M.G.N.Public School were also there to grace the occasion. Amongst others, Dr.Radha Arora, Dr.Meharban Singh, Dr.Ravjeet Kaur, Dr.Pooja Bhardwaj, Mrs.Gurpreet Kaur, Dr.Pooja Arora, Dr.Seema Rani, Mrs.Shivani Gulati, Mrs.Geetanjali Mittu, Ms.Gurpreet Kaur, Mrs.Daljeet Sheetak, Mrs.Sharan, Mr.Aman Singh, Ms.Gaganpreet Kaur, Ms.Sakshi Sharma, Mr.Maninder Pal Singh, Ms.Jaspreet Kaur, Dr Viplove Kundra, Ms.Anju, Mrs.Gungeet Madaan, Ms Arpita Sood Mrs Sunayana Thakur, Ms.Jasleen Kaur Ms.Taranpreet Kaur along with all B.Ed and M.Ed students witnessed the event.